For some people, it is entirely unreasonable to quiet a generator. After all, it is made to operate that way. But there are some instances that you have to do this. One of this is when you are living in a residential area, and you are afraid to disturb other people's sleep. Of course, some individuals are living off the grid that doesn't want to get noticed. Learning how to quiet a generator is a useful skill in any aspect. If you have no good tolerance against high sound volumes, then you need to tone down your generator for a bit. A generator, especially those that have powerful motors and high RPMs can produce voluminous noises. If your generator doesn't have an idle control, then you have to endure the sound of the generator until the power from the grid comes back. Of course, there are still some ways that you can upend this problem. The first solution is by investing on high-end generators. Though they are expensive, they will certainly guarantee that they can operate with minimal or controlled volumes. On the other hand, you can expect that inexpensive or entry-grade generators will never give you such kind of comfort. For other solutions, check out the next section. Bringing a generator on camping or off-the-grid living is now an emerging trend. It is not a far-fetched and exaggerated idea anymore that this device is practical for people that are always on the move. Of course, this is thanks to the benevolence of technology, too. Gone are the days in where we have to settle on bulky and cumbersome generators. There are a lot of portable generators that are manufacturers offer today. They come in various models and types, but they can guarantee you that they won't slow you down! But on the flip side, it is notable that these generators are still susceptible in producing loud noises, which is quite ironic since they are portable units. Nobody wants to operate a generator in a place that could attract attention from unwanted creatures and wildlife. Therefore, if you want to cover your tracks and remain in clandestine, then you should find a way to silence your generator. Portable generators will still produce loud sounds, especially if they have large engines. For example, a portable generator that comes with a 3500-watt engine will certainly generate high-volume sounds when it is running. But of course, some people would still prefer this type of generator, especially if they have high power demands. 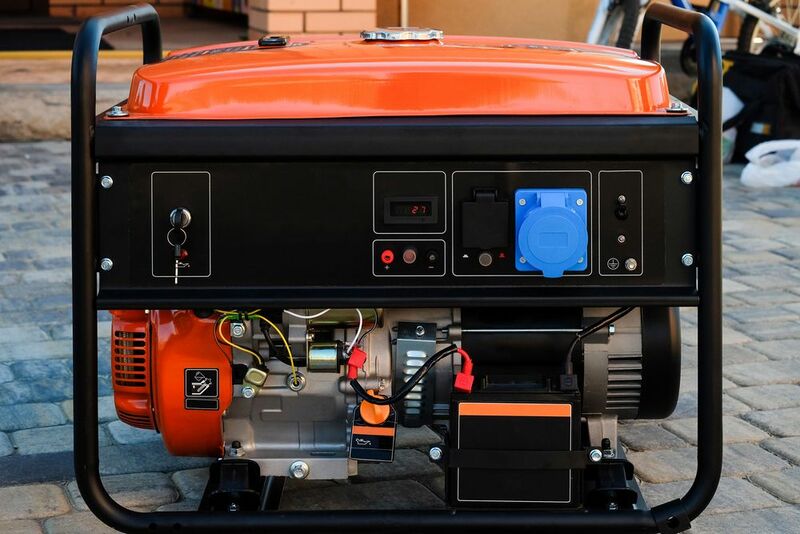 The first thing that you can do dampen the sound of the generator is by replacing its existing muffler. Specifically, a muffler is a unique component that reduces or controls noise of any mechanical device. They act similarly to gun silencers. There are some mufflers sold on the market today that can reduce the noise by 2 to 4 decibels. They don't cost that much, so they are not scary to invest. In fact, some people are even using motorcycle mufflers to silence their generators. Their performance is said to better compare to the mufflers designed for generators. You might need to exercise the dexterity of your hands in this doing the replacement. Regardless of the type of muffler that you are going to choose, you will undoubtedly experience noticeable results in the sound. Of course, we have to remind you of one particular caveat. 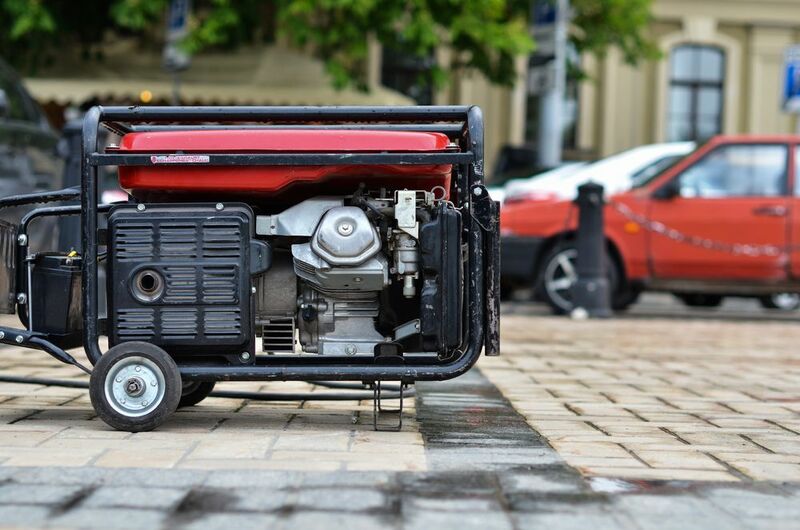 Specifically, changing the default muffler of your generator might void its warranty. Therefore, you must contact the manufacturer of the generator first if part replacements will nullify their given warranty. But if you don't value the warranty that much, then you can proceed already. To further improve the noise-reduction capacity of a muffler, you must get a noise-removing enclosure for your generator. Some people call this as the generator shelter. Specifically, it is a box that usually includes an exhaust and fan to regulate the temperature of the generator. Moreover, it has can significantly lower down the noise of the device by up to 10 decibels. However, take note that this accessory is not cheap at all. The basic price starts up to a thousand bucks. But if the noise is an issue for you, this is a necessary investment. The expensive ones have to weatherproof on them. They can protect your generator from all the atmospheric elements. Such capacity is ideal for camping and off-the-grid living. Fortunately, there is a great alternative for generator shelters. If you have an excellent DIY skill, you can make an enclosure by yourself. The housing should have an active insulation to regulate the heat produced by the generator. Specifically, the components should be the following: styrofoam, packing tape, car muffler (old or unused), fan, and wall insulator. You can purchase most of these on housing supply stores or your local hardware centers. After you completed the enclosure, you can provide some upgrades to it. It is entirely necessary from our point of view, especially if you want to make your DIY generator shed as good as those commercial generator shelters. If you want to improve the noise reduction capacity of your shed, better add more wall insulations to it. Duct boards could work as well. They can provide thermal insulation, too. Meanwhile, it is an excellent idea if you paint the shelter with silver or white color. These colorations are effective in repelling UV rays from the sun. Finally, consider adding a ventilation system to the shed. You can opt for the standard fan-and-exhaust system. It would ensure that there is airflow that prevents the overheating of the generator. If none of the said options are plausible in your current setup, then you should install a sound deflector in your home. As its name suggests, a sound deflector is a material that can repel away any incoming noises. The setup for this component is simple. You could just put intervening walls between your house and the generator. It would not make the generator lose its volume. However, on your part, things are slightly bearable already. But of course, this technique is just applicable to certain scenarios. If you have neighbors or people that you don't want to disturb, a sound deflector is not helpful. Therefore, the two solutions that we have provided are the best choices you have right now. They might require you to invest and work. But they can guarantee that your generator won't be ringing loud. The human ear has limited tolerance to sound. For example, a device that can produce 91 decibels of sound can give damage your ears if you expose them for more than two hours. On the other hand, objects that emit 140 decibels of sound can damage your hearing immediately. Of course, generators cannot generate such level of noise. However, it doesn't mean that the noise they produce is not distracting. Most of the generators (e.g., propane generators) today have sound levels that range from 52 decibels to 60 decibels. Meanwhile, some can reach up to 58 decibels to 64 decibels. These sound levels are safe for the ears, but they are not quiet. The noise could reach up to several meters. And well, that is something that you don't want your generator to do. If you are going to use mufflers and generator enclosures, the sound level could drop to as low as 5 to 6 decibels. That will give your generator an ultra-quiet performance. Well, this is the ideal operating volume that your generator should possess if you want to keep it on low-profile. 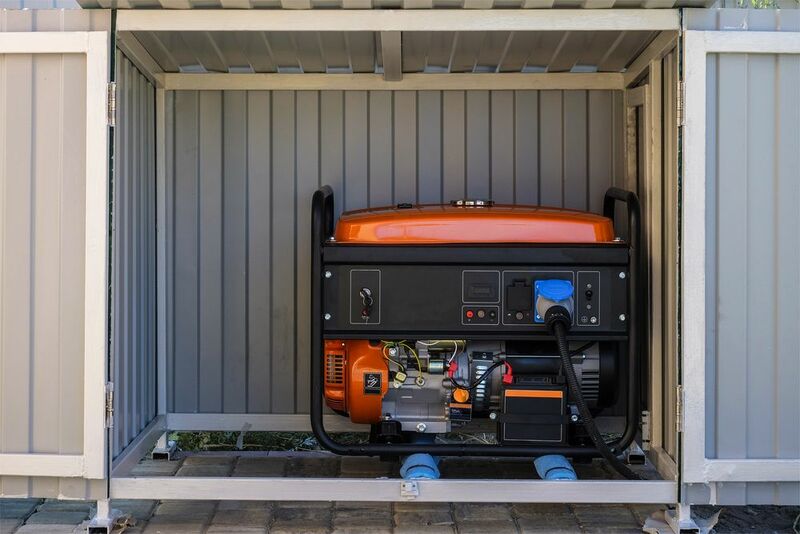 Make sure that you will never install or operate the generator on areas that have combustible materials such as building interiors. It is a precaution that you should not ignore. After all, one wrong move and it could lead to fatal accidents. Instead, you just have to install the generator on outdoors, in where there are no people or animals would come near. It is the safest spot that you give to the device. 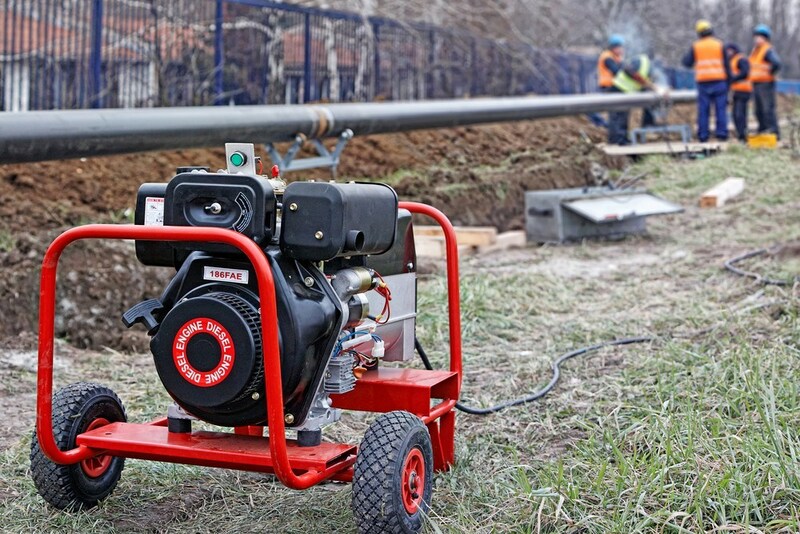 Moreover, we also prohibit people from installing the generator on a wooden platform. This material is known for amplifying sounds. It will render your noise-canceling devices useless. You should not place the generator in where its exhaust will point towards your house. Aside from your safety, veering away the direction of the generator will efficiently reduce its noise. But of course, this is only from your perspective. The noise level did not go down at all. But it could somehow make the difference already. Overall, we still believe that prevention is better than cure. It is an adage that is very applicable even to modern devices like generators. If you want a quiet generator from the get-go, you better invest in those high-end models. The noise that they produce is not as high as compared to most inexpensive generators out there. Therefore, if you will go for these innovative generators, you might not need the help of mufflers anymore. Of course, this is a cost-efficient move. Furthermore, the validity of the warranty will never be at risk. If you like this article, feel free to hit the like and share buttons. Also, don't forget to subscribe to discover more useful contents for DIY projects, automotive maintenance, and home renovation.